Despite their lengthy absence, Wintersun are gearing up for their first release in years, The Forest Seasons. After the incredibly long winded wait for Time, fans were ultimately somewhat left lacking owing to the albums pretty odd production. Wanting to go their own way, with the help of Nuclear Blast backing, Wintersun put together their latest record. Having moved away from their more Melodic Death Metal roots in their previous release , The Forest Seasons returns to some of these more sought after aspects. Divided into four parts, no track is shorter than ten minutes. A big ask for the modern day music streaming consumer. The Forest Seasons will require your undivided attention. Kicking off with the beginning of “Awaken from The Dark Slumber (Spring)” the album sets the tone that this isn’t going to be a minimalist offering in the slightest. Ranging from far reaching melodies with all sorts of orchestration behind the bed of distortion its a perfect taster of what is to come, setting the scene for the album set piece. Bringing instrumentation in that ranges from electric guitars to orchestrated choirs its a very full on affair. Despite the lengthy run time, it does well to keep the listener entertained while moving through passages of the record. Much of the guitar wizardry is kept at bay but there are moments where Wintersun really open up. Particularly on “Eternal Darkness (Autumn)” where the midsection places a fantastic solo jumping through all sorts of virtuoso hoops. Creating a contrast against the previous, brighter and far more ostentatious compositions of the more folk oriented “The Forest That Weeps (Summer)“. More of a burning flame than a burnt out husk, it could be argued that this is one of the finer and more cinematic elements of the album. In an unanticipated change of pace the final track, “Loneliness (Winter)” isn’t actually a crescendo as I would have thought but more of a slow dirge mimicking the idea of the coming winter (you can thank GOT). Which though theoretically might work, it somewhat kills the pace of the record. Particularly when the track is thirteen minutes long. Despite a few niggles however in terms of production, Wintersun have learned from their mistakes. If you can look past that its a pretty solid album. Though there are elements of the Time symphony which can get in the way a little, longtime fans will be delighted to have elements which are more akin to the first Wintersun record back. Enveloped in atmosphere, there will be plenty for fans to love on the bands new offering but just as this is a positive it could also be seen as a negative. The Forest Seasons tends to become an overly flamboyant affair when perhaps the band could have done with cutting the fat somewhat, regardless its still and interesting walk in the woods. 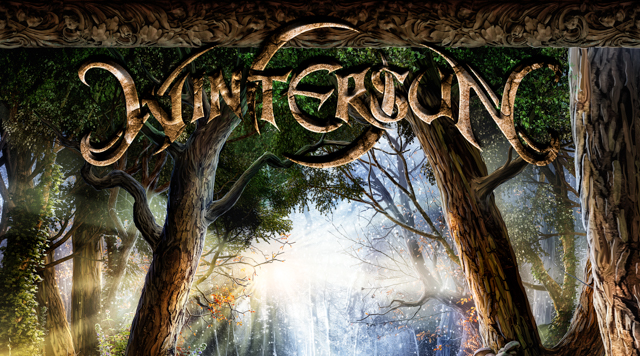 Wintersun’s brand new album The Forest Seasons is out July 21st via Nuclear Blast.